Scott Skiles is not the first guy you’d think of when it comes to having illegitimate children, but that 31 assist record is enough to get you some serious “cat”. 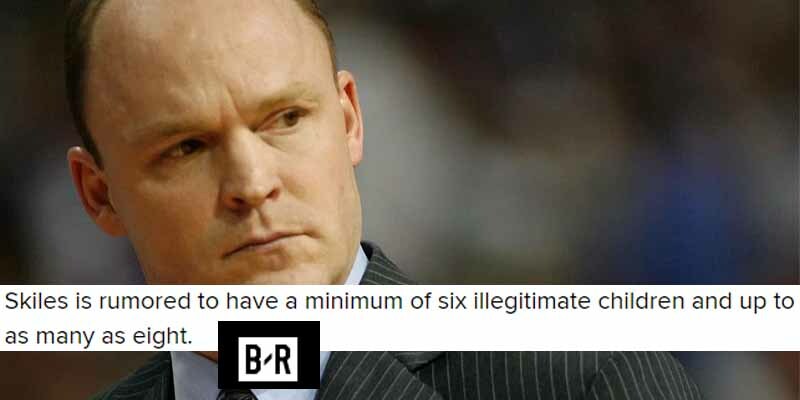 Scott Skiles is rumored to have fathered 6 illegitimate children in addition to the three he has with his wife Kim. How’s that for an assist record?